While opium may seem like an “old school” drug from the 1960s, opium-type drugs remain very much in use today. Opium, a byproduct of the opium poppy seed plant, forms the basis for a wide spectrum of prescription pain relieving drugs. This means, opium overdose risks apply for many of the most commonly used prescription-based drugs as well as for opium itself. Opium acts as a central nervous system depressant, which accounts for why opium-based drugs work so well at relieving pain symptoms. Signs and symptoms of opium overdose stem from how this drug affects chemical processes in the brain and physical processes throughout the body. When abused on a regular basis, opium’s effects take a considerable toll on the body’s ability to function normally. The longer a person keeps taking the drug, the greater the risk of developing signs and symptoms of opium overdose. The brain’s tolerance for opium plays a pivotal role in the developing potential for opium overdose. As opium can cause varying effects depending on a person’s pattern of use, people with a long history of drug use remain at risk of opium overdose, especially after long periods of abstinence. 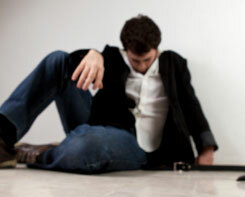 Primary overdose signs are often trouble breathing, a slowed heart rate, and incoherent speech. Opium’s chemical structure shares a certain similarity with many of the neurotransmitter chemicals produced by the brain. These neurotransmitters enable the different areas of the brain to communicate with one another. Similarities shared between opium and the brain’s neurotransmitters lie at the heart of opium’s addictive potential. Neurotransmitter activities also regulate the body’s central nervous system. Opium’s pain-relieving properties result from the drug’s ability to interfere with how the brain sends and receives nerve signal transmissions throughout the body. According to the University of California – Los Angeles, with each dose of opium, individual brain cells produce excess amounts of dopamine and serotonin, both essential neurotransmitter chemicals. This process, in turn, intercepts normal nerve signal transmission activities. When abused on a continued basis, signs and symptoms of opium overdose take shape as brain cell sites start to deteriorate from overwork. As cells become less responsive to opium effects, larger doses of the drug are needed to produce the same desired effects. Before long, a person has entered into a vicious cycle of drug abuse as opium’s damaging effects continue to wear away at brain cell structures. In effect, continued opium use causes brain chemical imbalances to worsen over time. After a certain point, drug users face a growing risk of experiencing opium overdose. Considering opium’s primary effect works to depress or slow down brain and central nervous system functions, once a person starts taking large doses on a regular basis, the drug’s effects can easily overwhelm any one of the body’s major systems. When this happens, opium overdose is likely. Symptoms of opium overdose can take shape within any one of the systems regulated by the brain and central nervous systems. As brain chemical imbalances worsen, one or more systems start to breakdown. Meanwhile, the brain continues to tolerate or require larger and larger doses of opium, which promotes further imbalance. After a certain point, widespread chemical imbalances impair the brain’s ability to regulate bodily processes. In general, the bodily systems most vulnerable to opium’s effects show the worst signs of decline. Opium overdose symptoms will likely affect the most vulnerable systems first. These effects pose an especially high risk for people who suffer from pre-existing medical conditions. Continued opium abuse will work to aggravate these conditions over time. The central nervous system maintains circulation rates, blood pressure levels and heart rate. When ingesting large doses of opium, the drug’s depressant effects can slow the body’s heart rate down to dangerous levels. Body temperature regulation takes place within an area of the brain known as the hypothalamus. Any imbalances within the brain’s chemical system can potentially impair the hypothalamus’ ability to maintain normal body temperature levels. In cases of opium overdose, a person may experience profuse sweating or a noticeable drop in skin temperature. Long-time opium users often experience lapses of consciousness, also known as “nodding out.” These lapses can occur at any time, such as in the middle of a conversation or while driving. Opium effects have essentially shut down the brain’s cognitive functions, temporarily. In cases of overdose, a large enough dose has shut down cognitive functions altogether. Respiratory distress accounts for the majority of deaths caused by opium overdose. According to the University of Connecticut Health Center, exceedingly large doses slow brain and central nervous system functions down to the point where the body’s respiratory system stops working. This sign in particular warrants immediate medical attention as respiratory failure can quickly lead to death. Ultimately, people with long histories of opium use remain at high risk of overdose, though anyone who takes a large enough amount of the drug may also experience an overdose episode. In the case of people coming out of detox treatment, the risk of opium overdose is especially high.